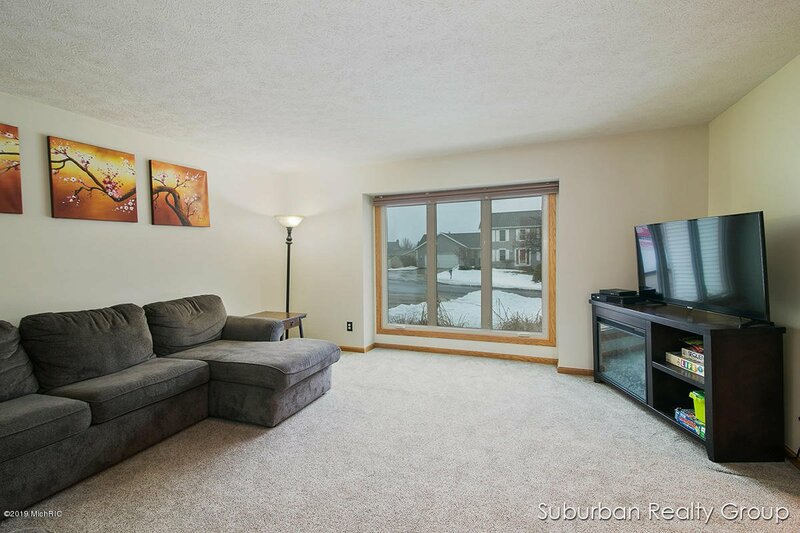 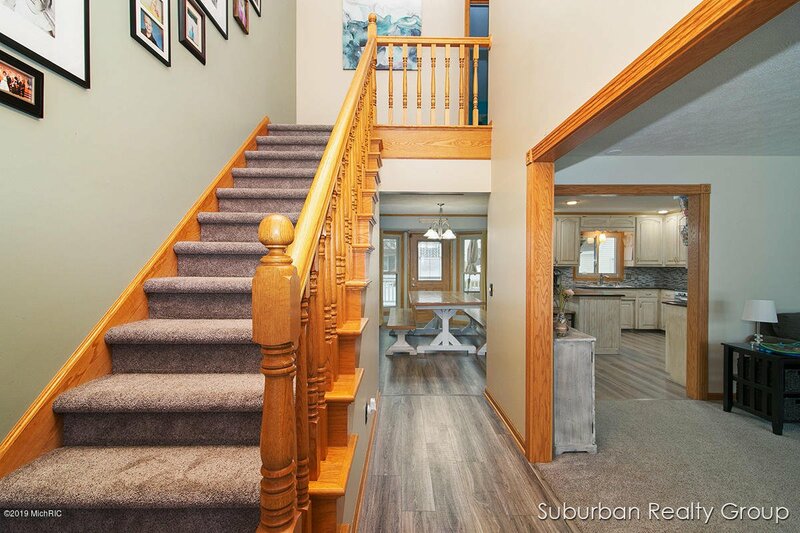 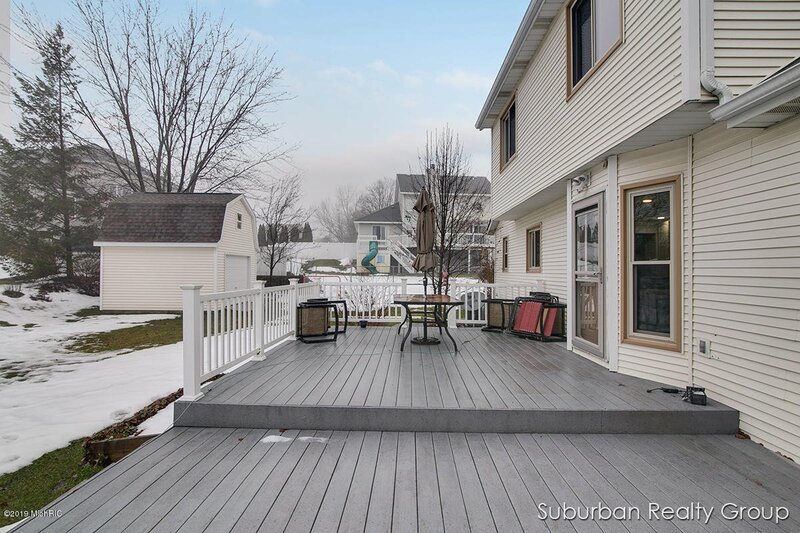 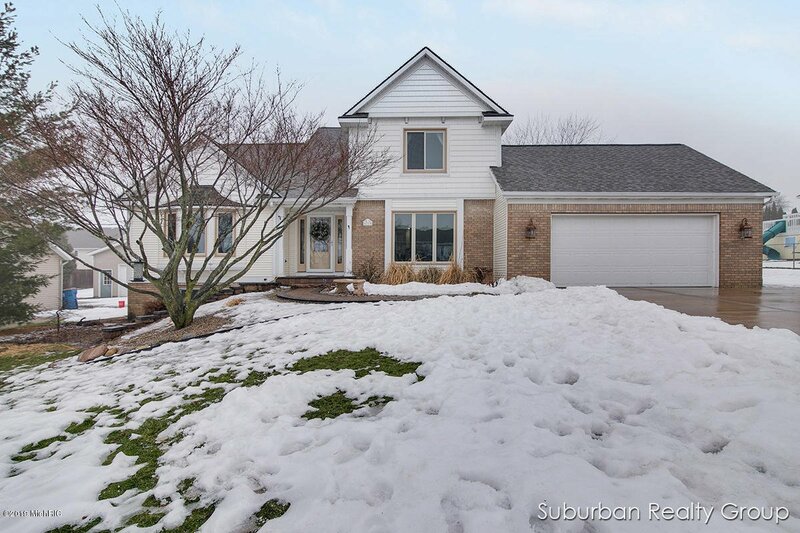 Great master on the main two story in the heart of Hudsonville! 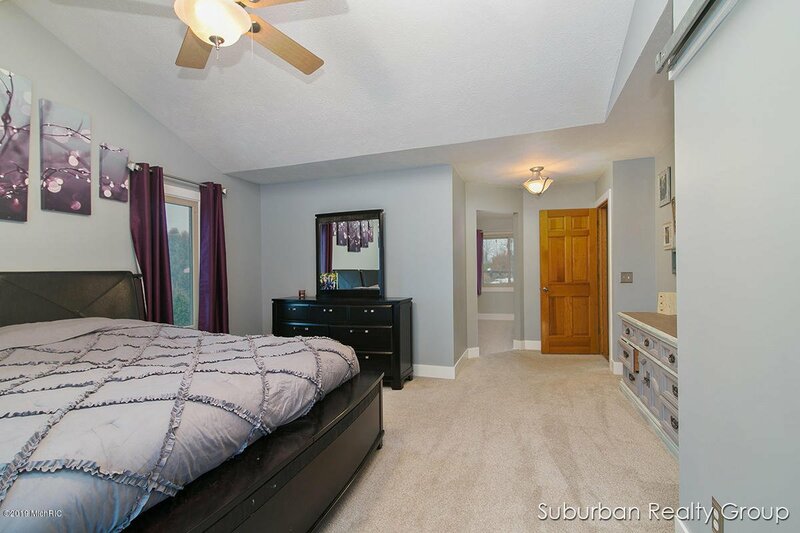 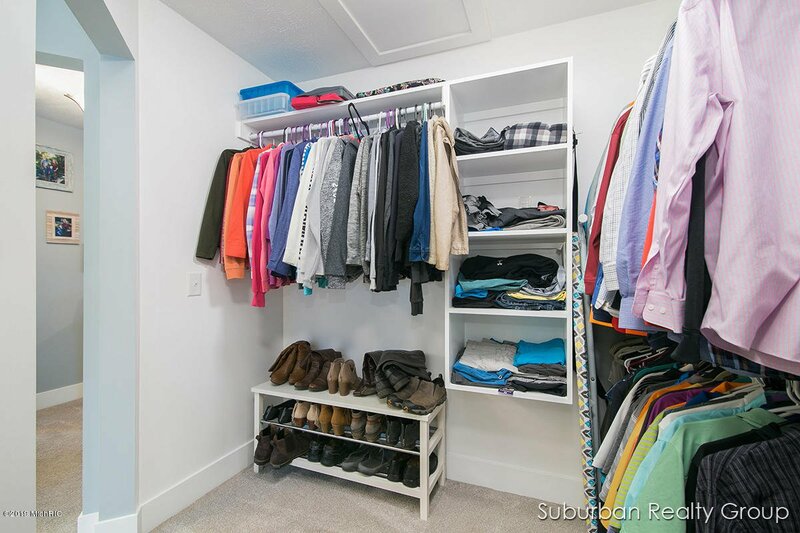 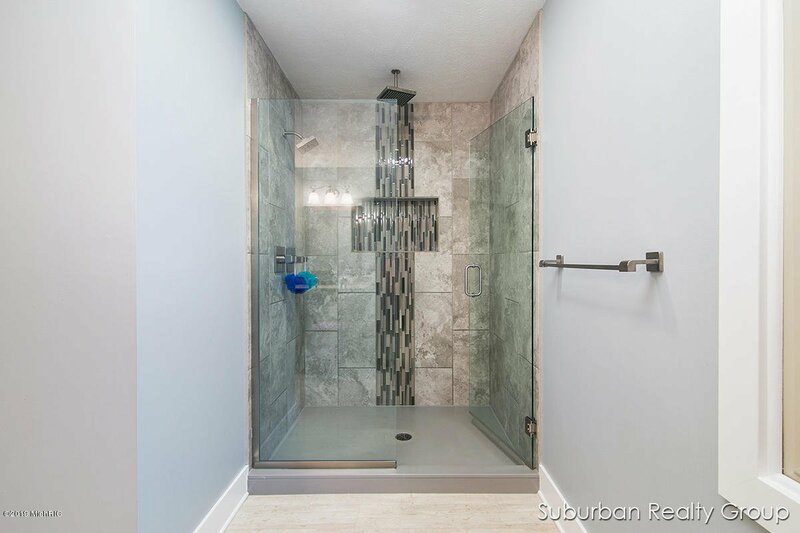 The spacious master is completely updated with massive closet, gorgeous tile floor and shower and dual vanity. 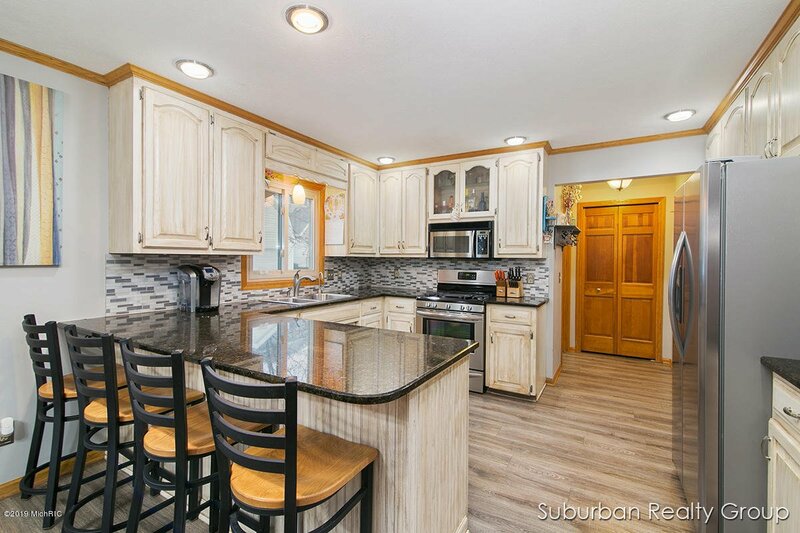 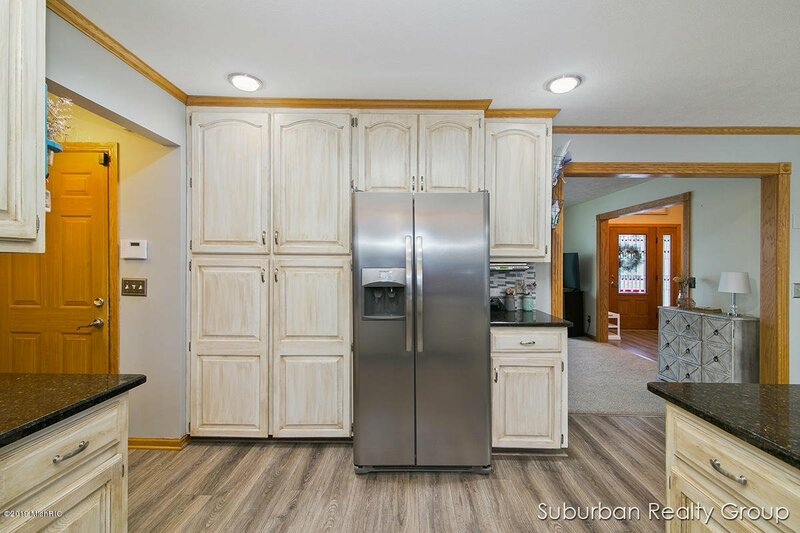 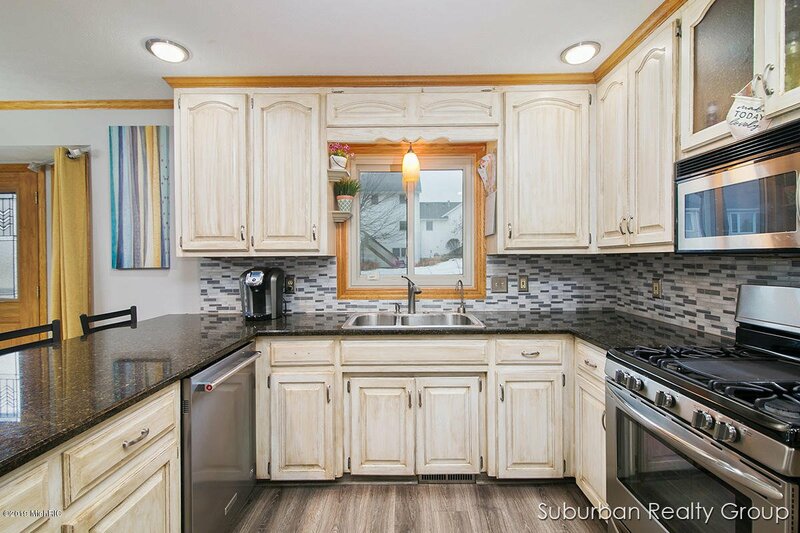 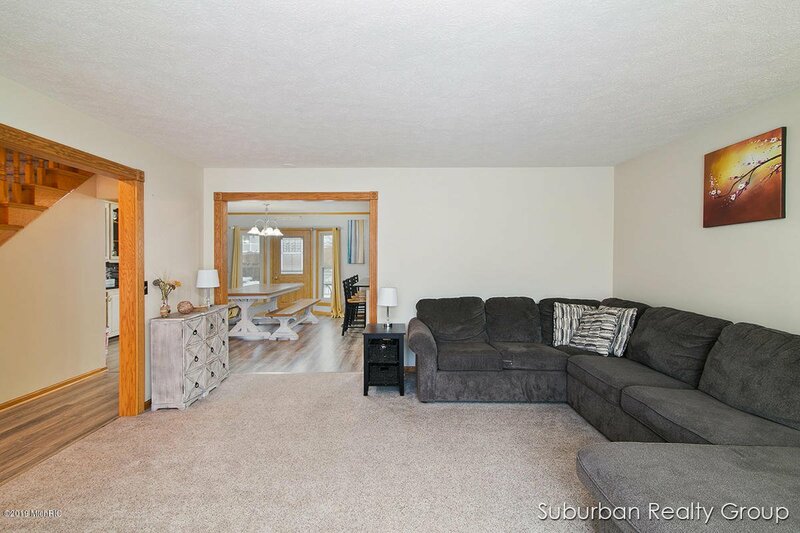 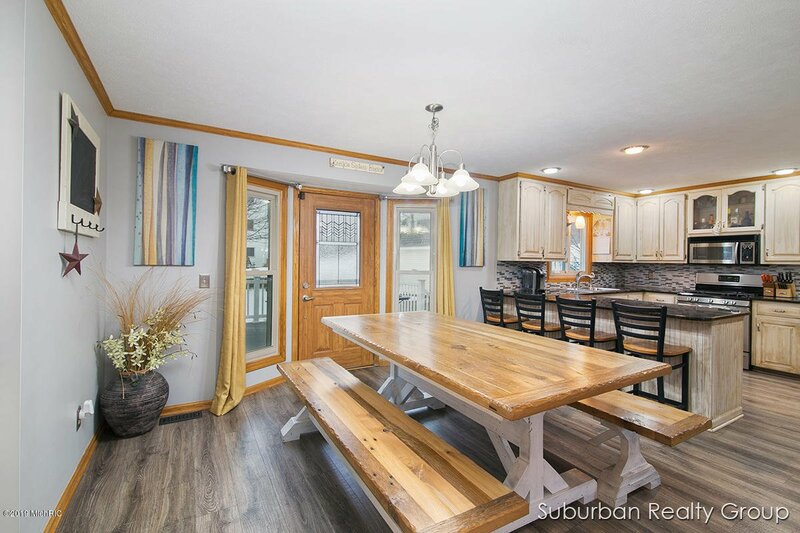 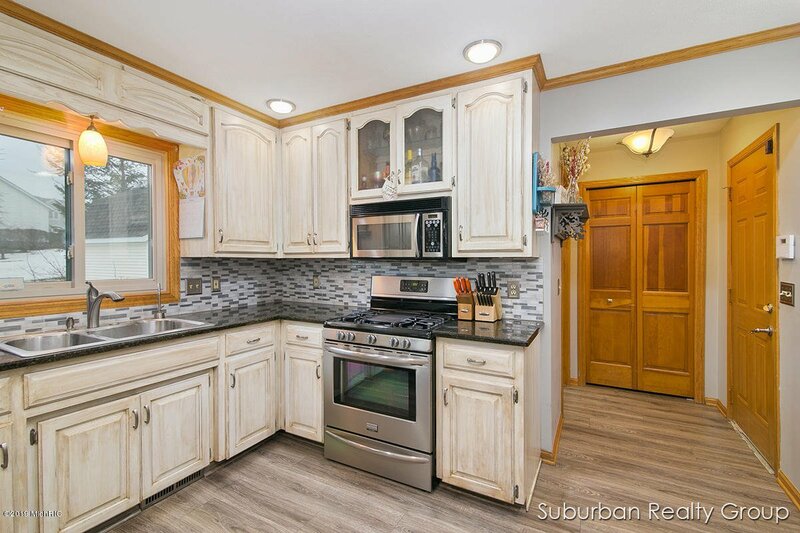 Other upgrades include...newer roof, windows, flooring, furnace and AC, hot water heater, updated kitchen with painted cupboards, granite, tile backsplash, and new fridge. 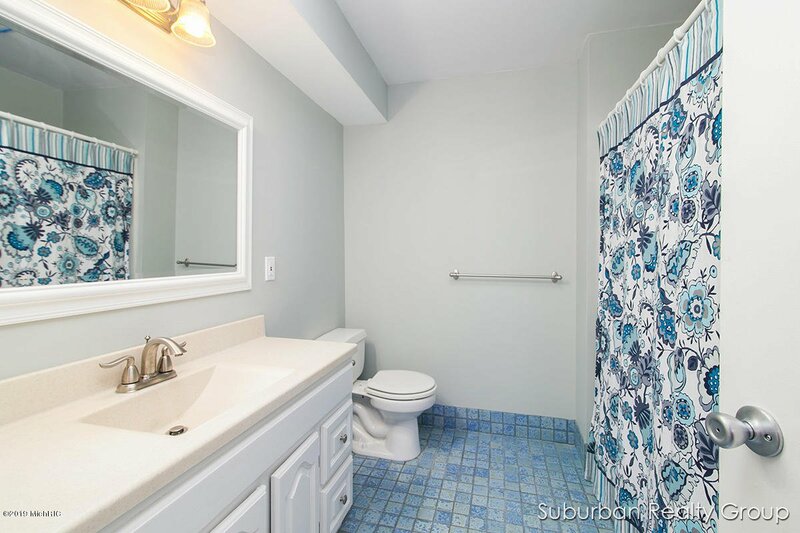 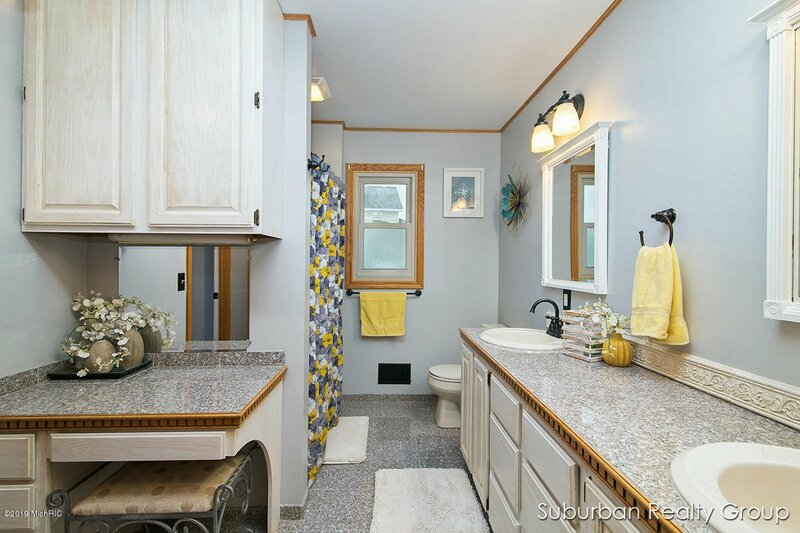 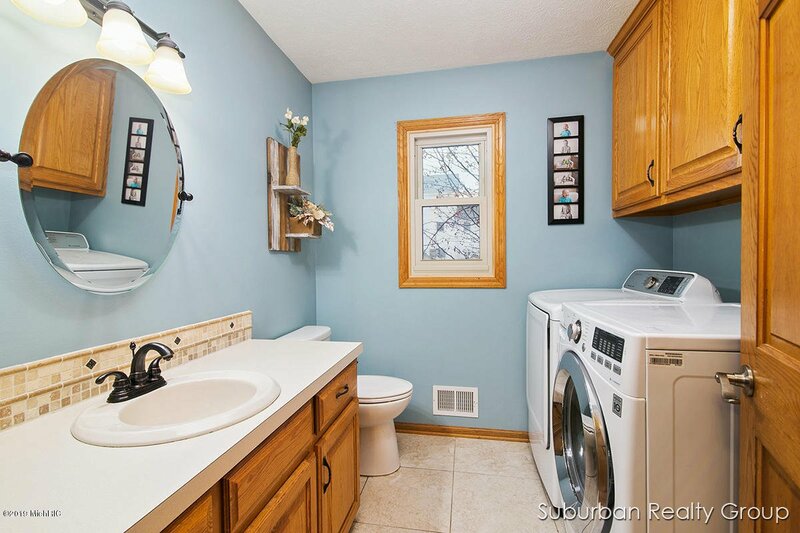 If all this wasn't enough the upstairs offers two large bedrooms and bath with dual vanity. 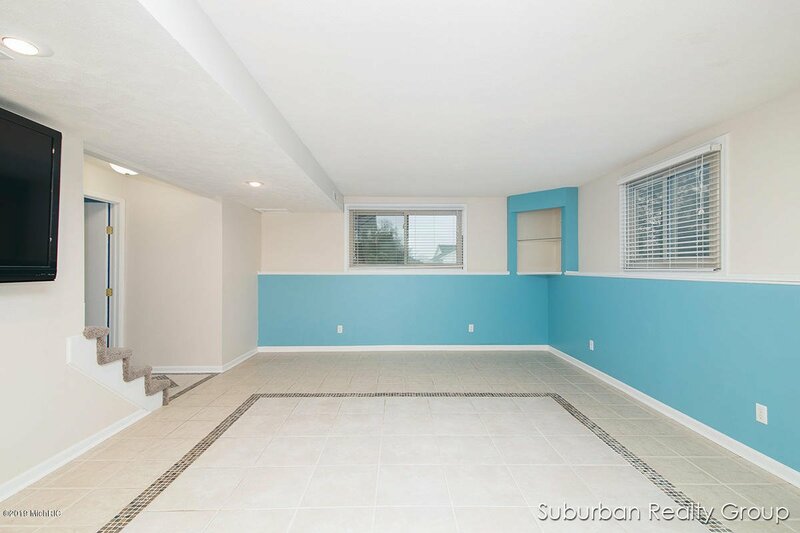 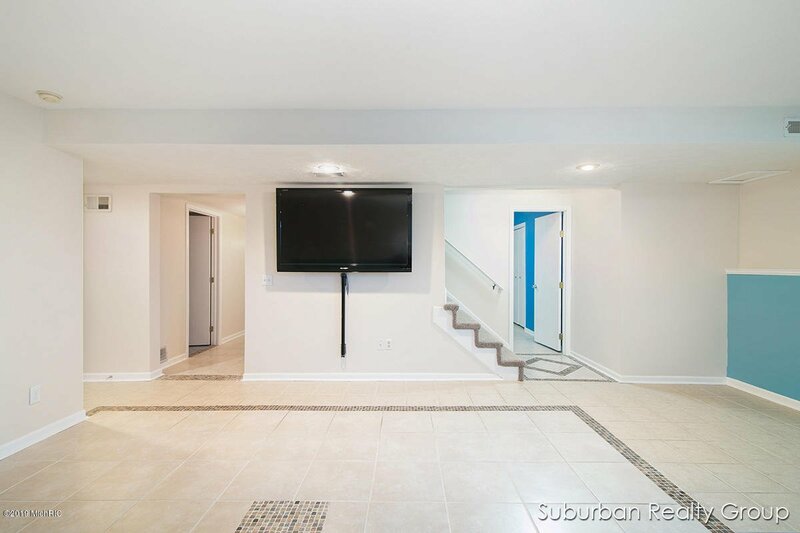 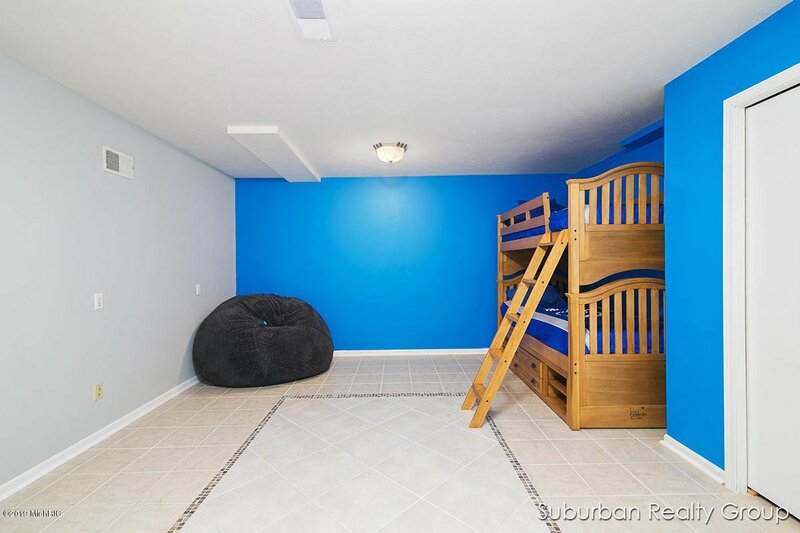 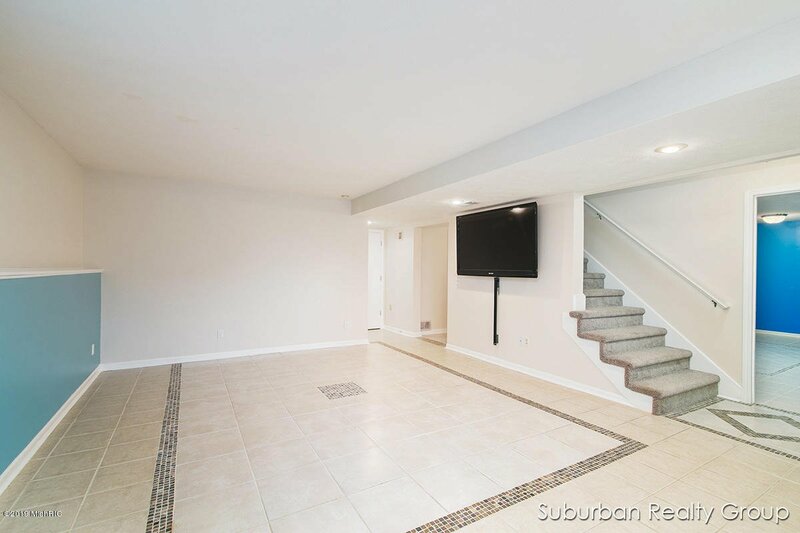 Basement has finished rec room and another large room for gym equipment, gaming, toys, etc. 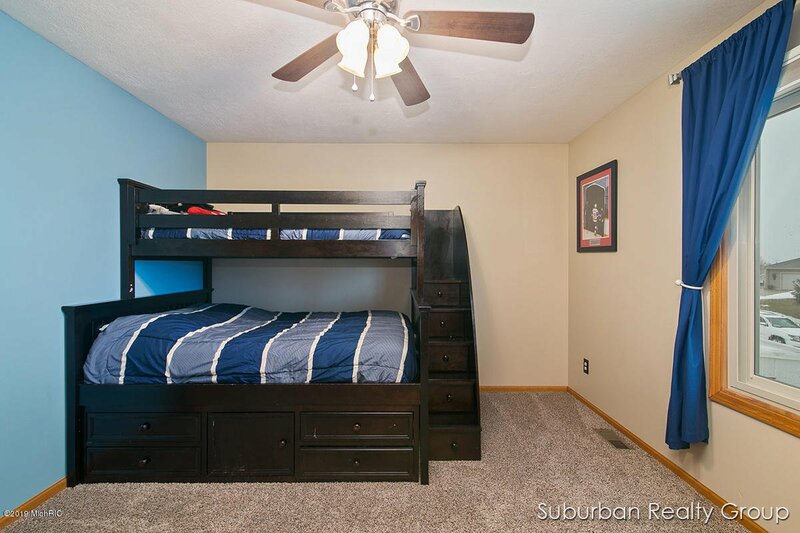 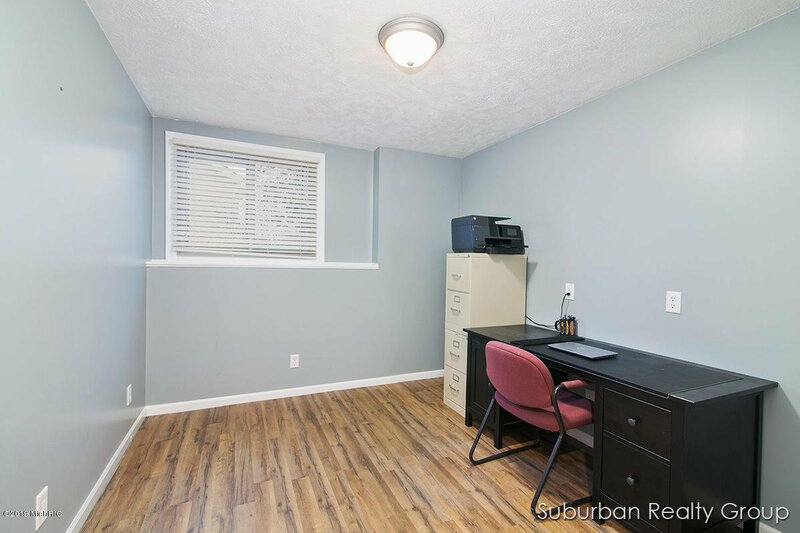 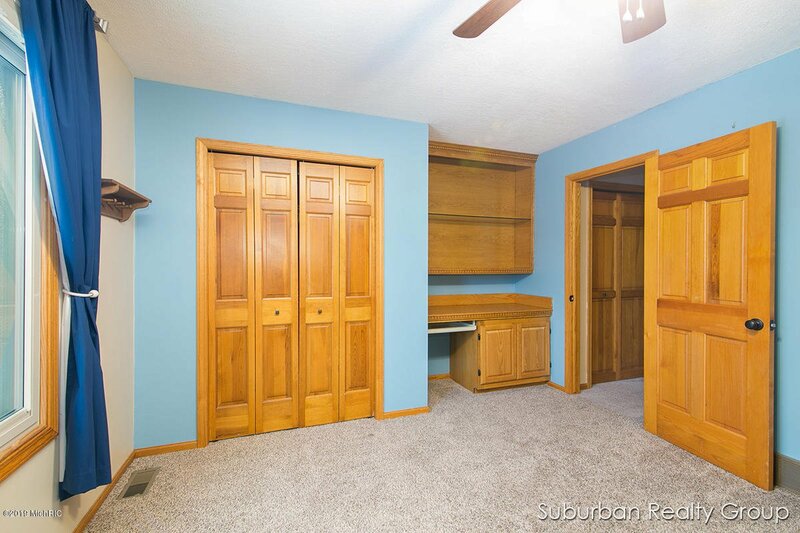 Bedroom in basement is non conforming. 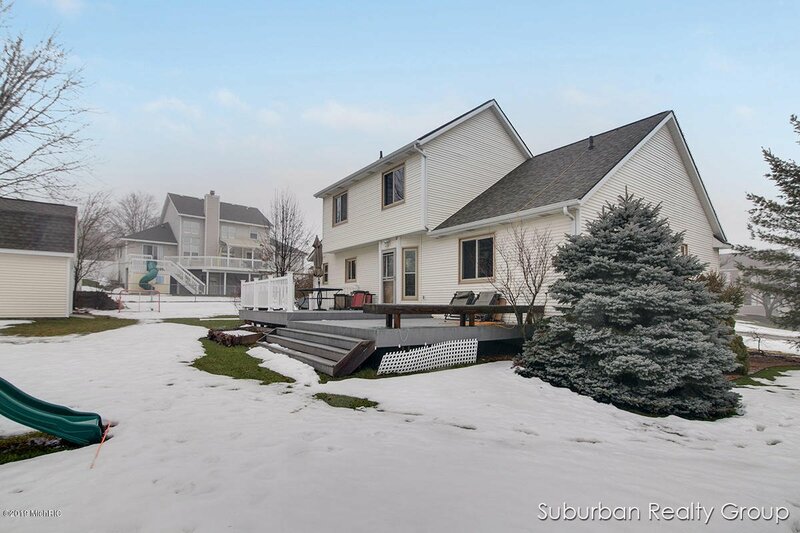 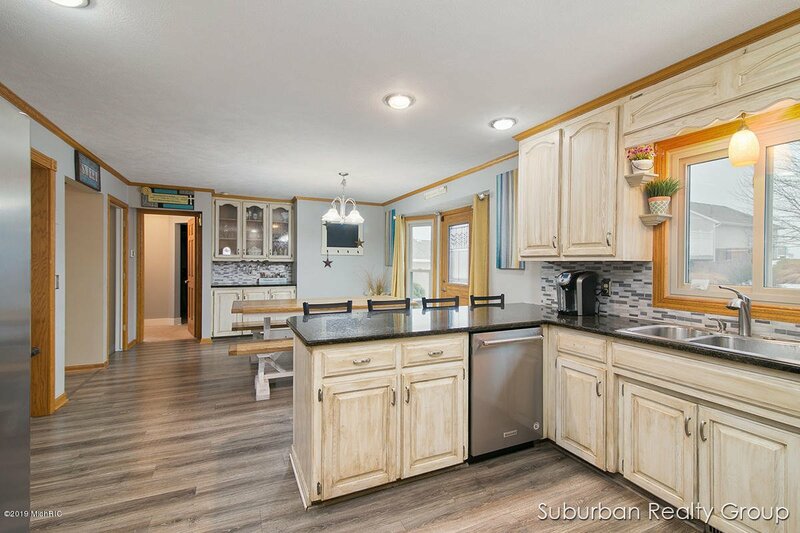 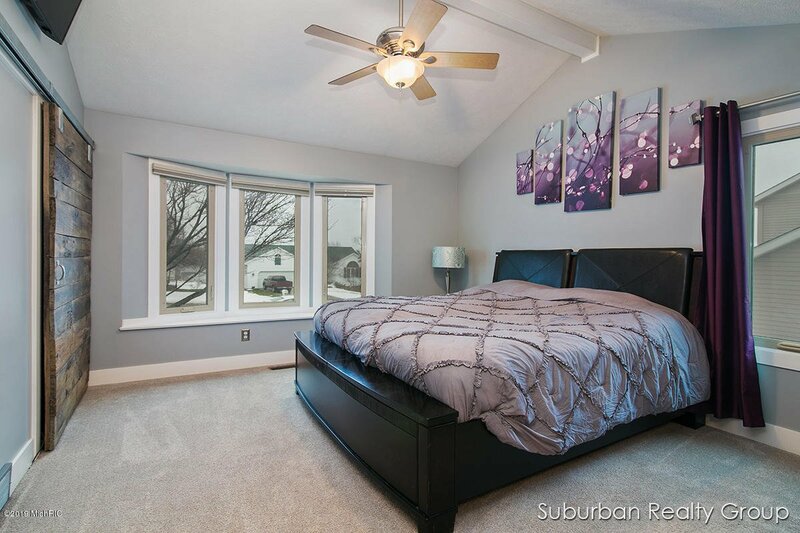 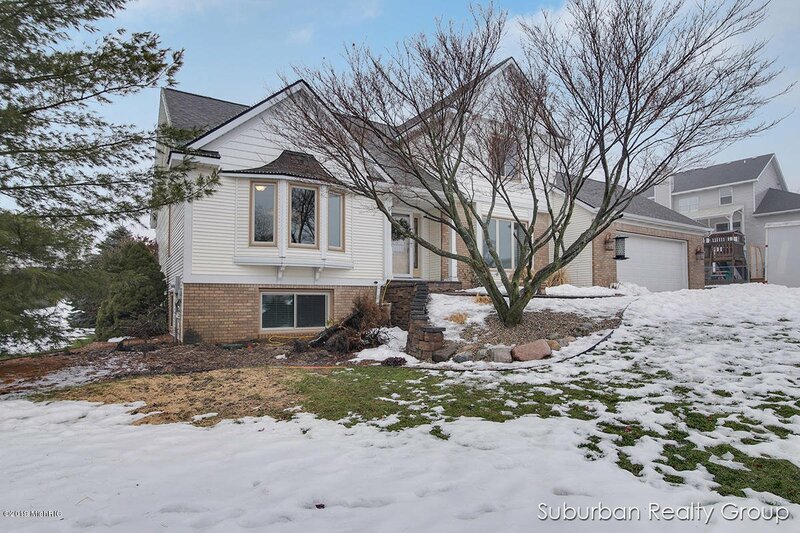 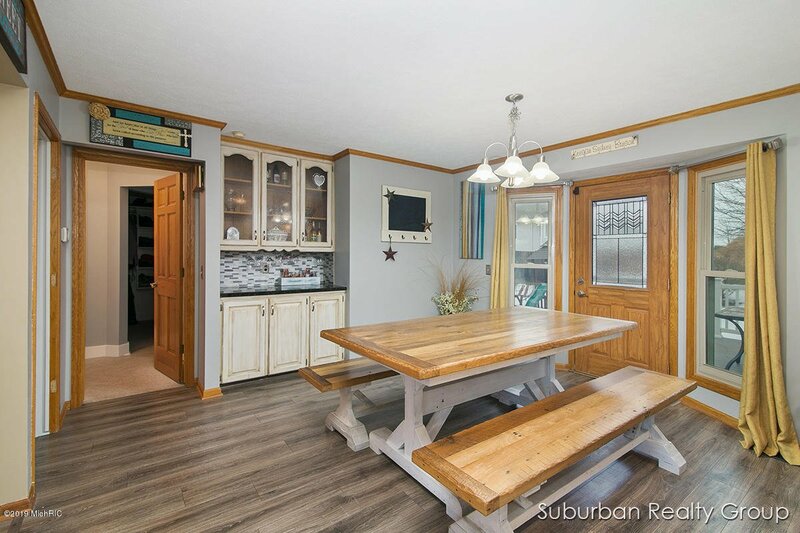 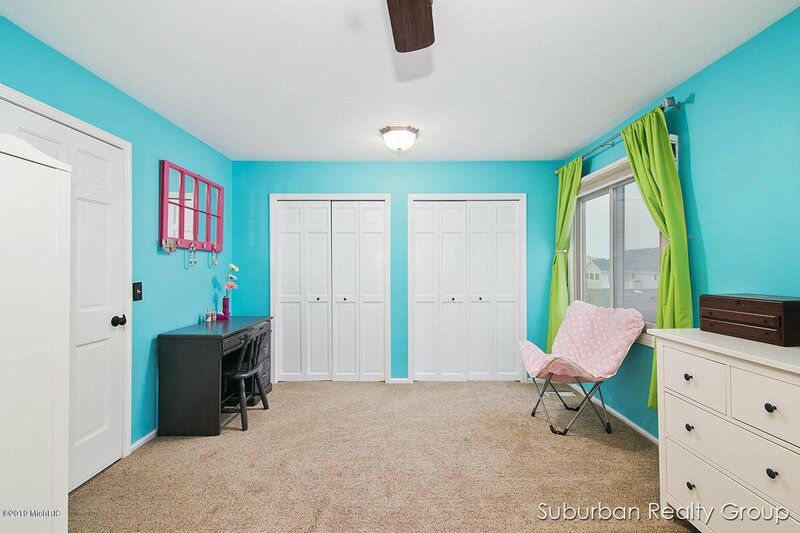 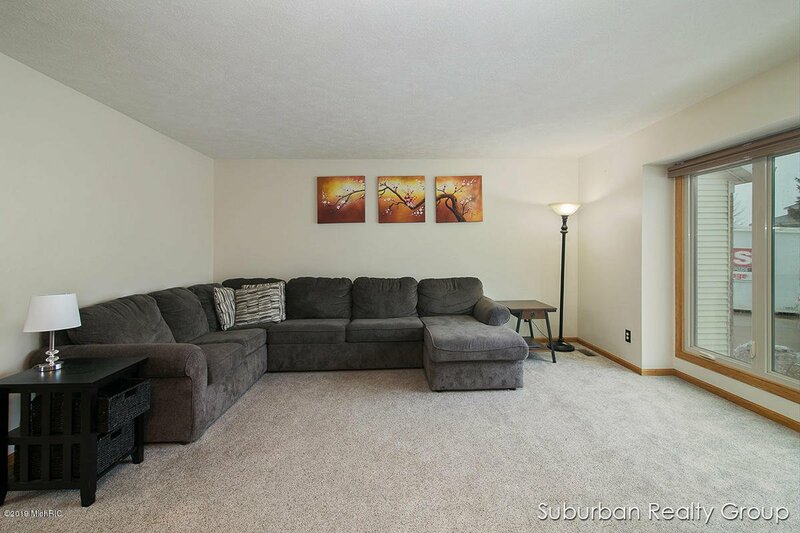 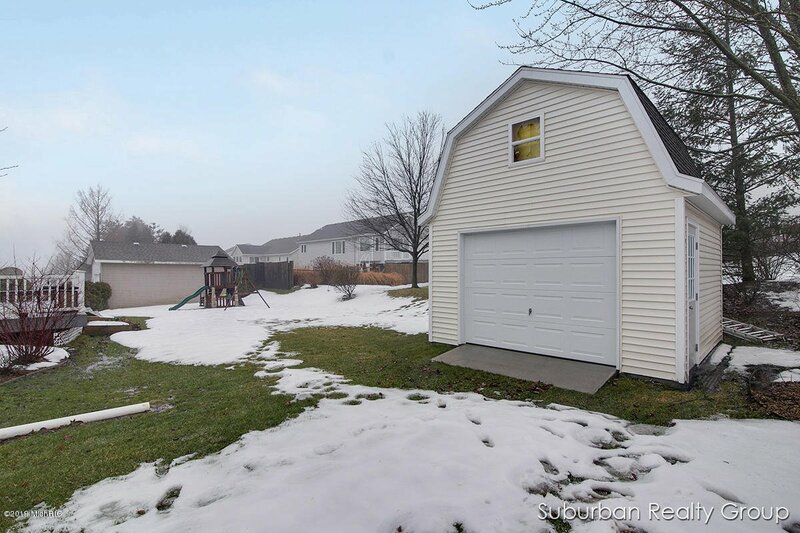 Close to the great new restaurants and shops in Hudsonville as well as schools, grocery, etc. 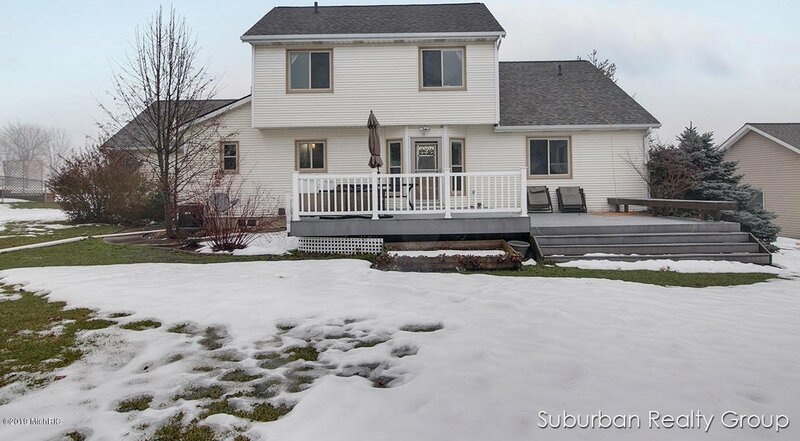 Possession can be less than 30 days, if needed. 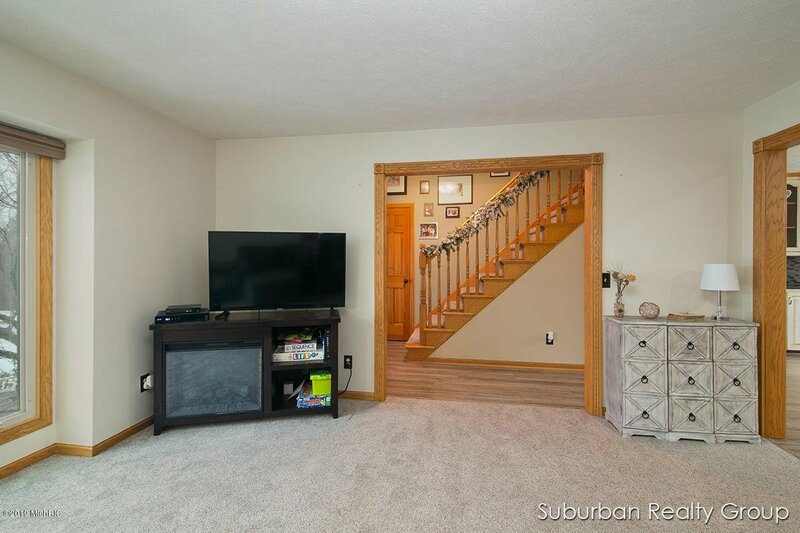 Don't wait...this will move fast! 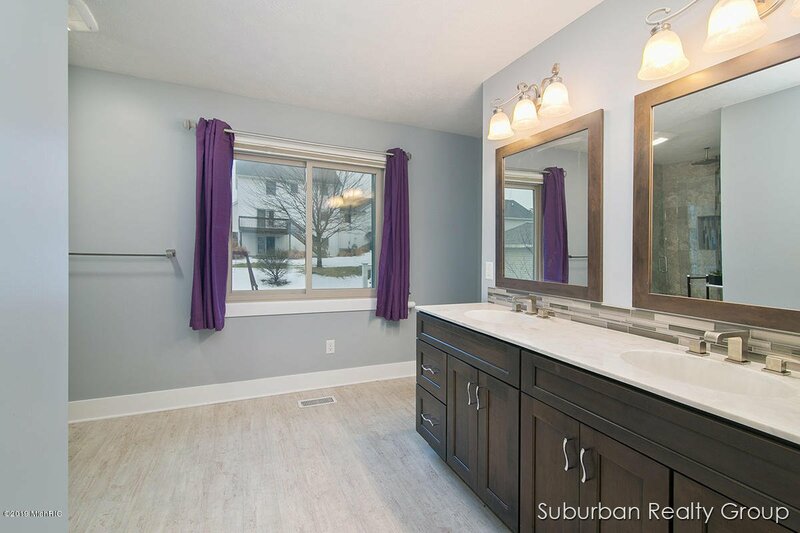 Courtesy of Sara J Suidinski with Suburban Realty Group LLC. 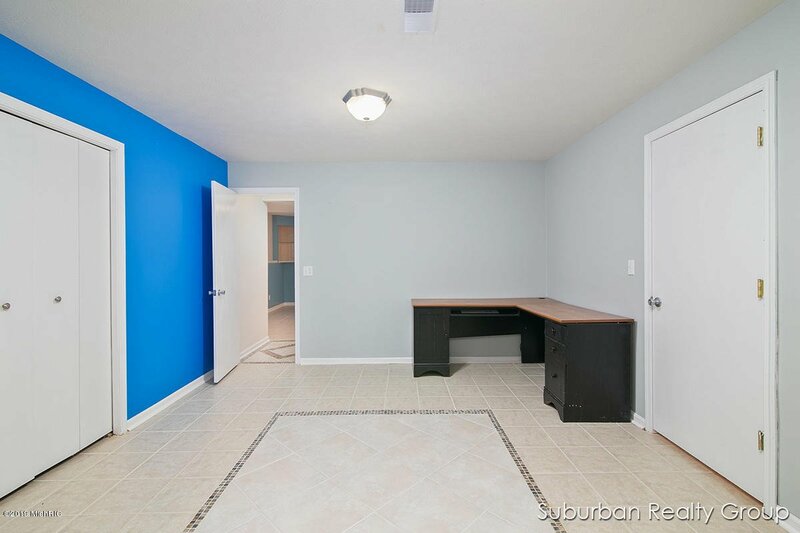 Selling Agent: Steve Frody Selling Office: City2Shore Real Estate Inc..